First Team Nissan is a Nissan dealer near Lynchburg, VA, featuring a HUGE selection of over 300 New Nissan Vehicles. If you’re shopping for a new Nissan in Lynchburg, be sure to check out First Team Nissan’s full line of new and used vehicles. Only a short drive from Lynchburg, First Team Nissan is your destination for our exclusive Values for Life…your engine, state inspections, car washes and more are covered for LIFE when you buy a new Nissan from First Team! Plus we offer our 48-Hour “Bring it Back” program for our Lynchburg customers. If for any reason you are not satisfied with your purchase, just bring it back and exchange it for another model! Call or come in for details on these programs. According to Nissan North America, First Team Nissan is the #1 New Nissan Dealer in Western Virginia. Why? Great customer service, a huge selection of new Nissan models, and our commitment to your Clean Deal Buying Experience, where you’ll always get one incredible price – our lowest price, right up front, with no hassles, no haggling, and no worries! We service Lynchburg, Virginia area customers shopping to buy or service a new Nissan. Lynchburg is an independent city located in the Commonwealth of Virginia. The population is approximately 75,568. Lynchburg is known as the “City of Seven Hills” or “The Hill City”, and is located in the foothills of the Blue Ridge Mountains along the banks of the James River. An interesting historical note: Lynchburg was the only major city in Virginia that was not captured by the Union before the end of the American Civil War. Lynchburg VA, near Roanoke, is near the geographic center of Virginia. First Team Nissan is only about an hour away from Lynchburg…ane when you drive a little, you save a LOT! First Team has some of the best deals on New Nissan and Pre Owned Used Cars in the Lynchburg VA area. We are a located a short drive from Lynchburg Virginia here in beautiful Roanoke. Nissan Lynchburg VA, come to First Team, Get Our Best Deal! We have the best selection of New Nissan vehicles in the Lynchburg VA area including the: Nissan 370Z, Nissan Altima, Nissan Armada, Nissan Cube, Nissan Frontier, Nissan Maxima, Nissan Murano, Nissan Pathfinder, Nissan Quest, Nissan Rogue, Nissan Sentra, Nissan Titan, Nissan Versa, and Nissan Xterra. We also have a great selection of premium Pre-Owned Used Cars in the Lynchburg Va area as well as a great selection of used vehicles under $10,000. 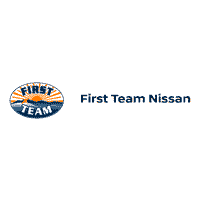 Come experience the First Team Nissan difference here at First Team Nissan in Roanoke, VA.